We have had buckets of rain lately, but sun today before snow is to pass through tomorrow (Ugh!). Cool use of effects in this picture! Thanks…It was fun to experiment. Thanks. 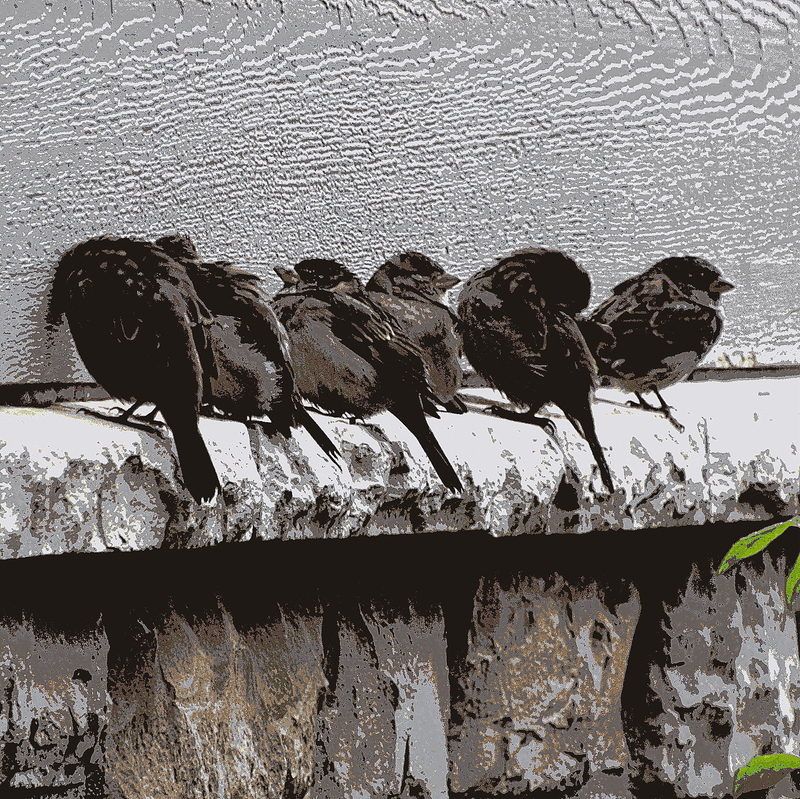 I’d been watching them line up on that ledge to get out of the rain and thought it would make a fun shot.